I ventured south down I-65 with clear blue skies leading the way to Bowling Green for a fun-filled weekend of WKU athletics ahead of me. 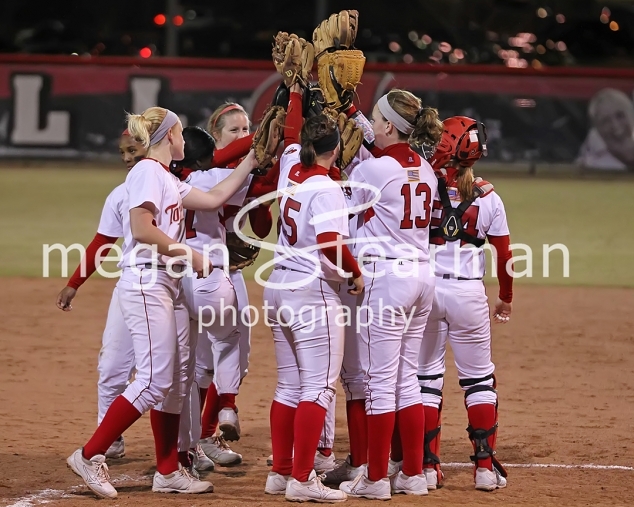 WKU softball is hosting the Hilltopper Spring Fling tournament and faced off against the Canisius Griffs Friday evening. It has been a while since I shot softball but I love it. The cheers from the dugouts, the fast-paced action, the higher probability of stealing bases – what’s not to love? Plus, the field is smaller to shoot so I can pretty much get away with my 70-200 and my 300mm for everything I need. Last night I attempted to be a little more visual “editorially” and less of the typical softball action. Not sure on how you would grade success on that but overall I was pretty happy with the images that I produced. Thank you for taking the time to check out my website and my work and I would love to hear any feedback! Please check out the slideshow of images below or click the link to view the full gallery.